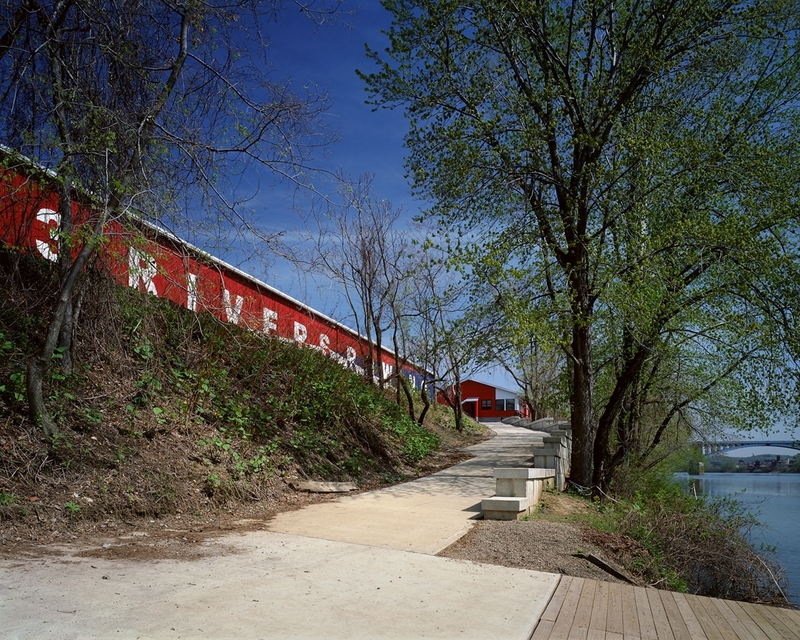 Nestled along the wooded banks of the Allegheny River in the Millvale Riverfront Park, sits the Three Rivers Rowing Association Boathouse & Training Center (TRRA). 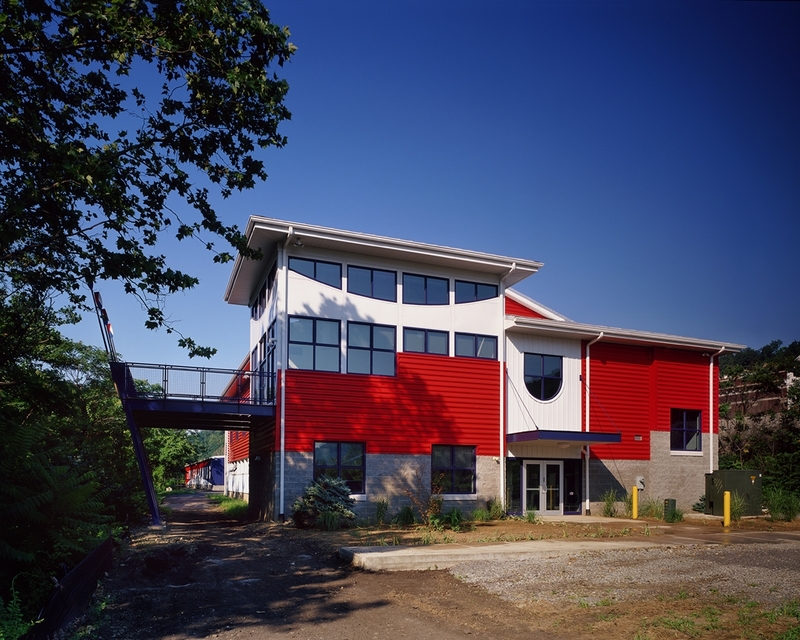 RSSC Architecture designed these two structures to meld traditional nautical boathouse architecture with materials that evoke the industrial history of the former Pittsburgh railyard, where the buildings now stand. 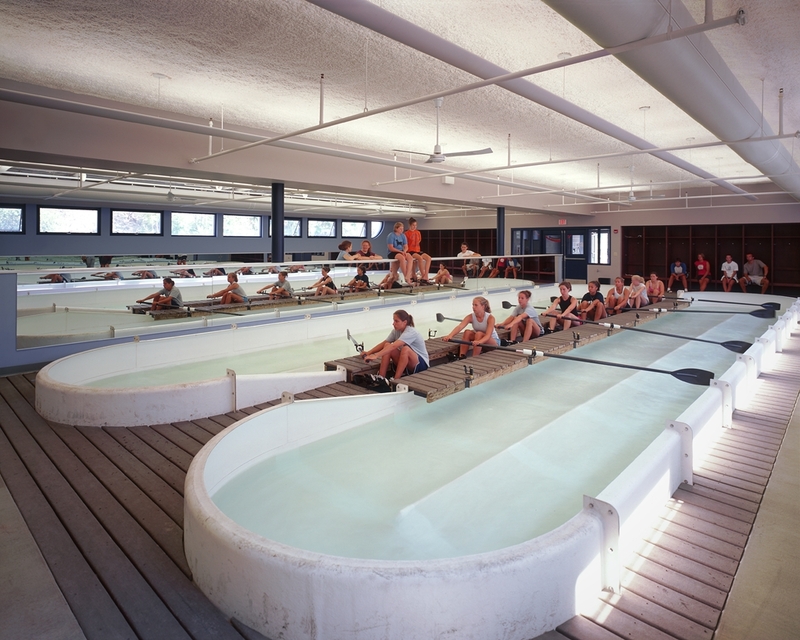 This innovative and forward thinking design provides a best-in-class and sustainable destination for rowing training. 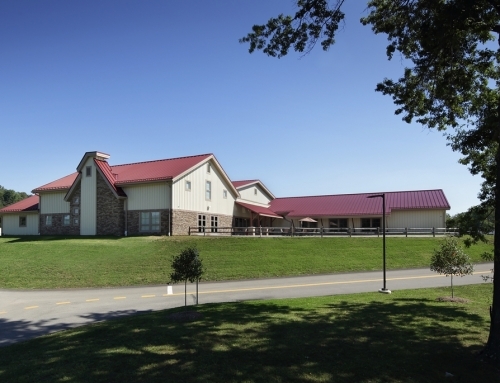 The facility is comprised of a 9,200 square-foot Boat Storage Building (Boathouse) and a two-story 13,000 square-foot Training Center. 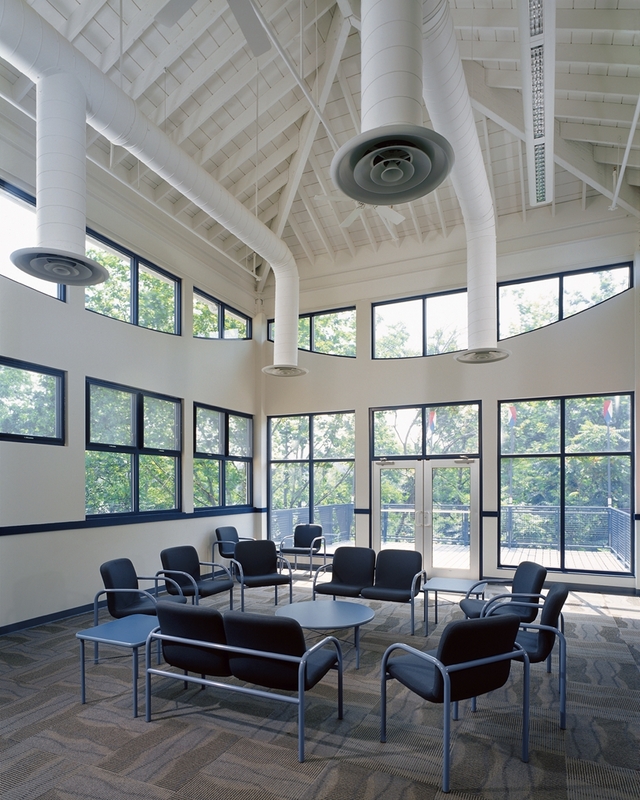 One of the Training Center’s most unique features is the lower level tank room. 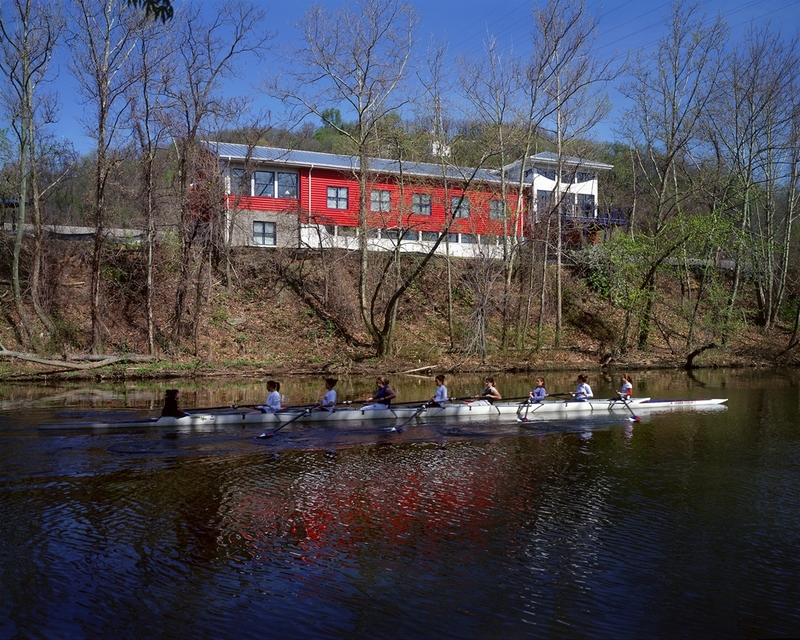 This state-of-the-art exercise area contains two, full-sized, eight person rowing tanks that provide a realistic, indoor rowing shell experience during the entire year- the first of its kind in the Pittsburgh region! 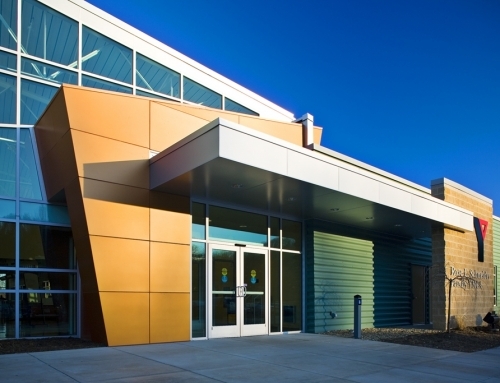 RSSC incorporated numerous sustainable elements into the design. 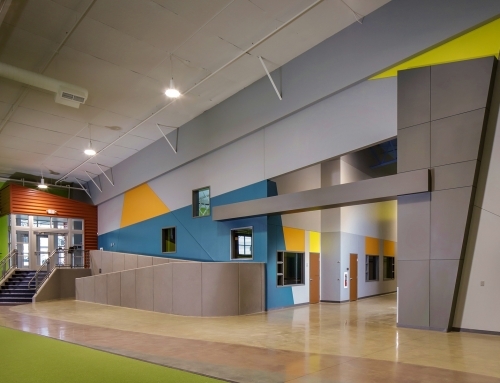 The use of recycled and locally manufactured materials, plus incorporating natural daylight and fresh air from operable windows and an outdoor ventilation system for the offices, lounge, training and weight rooms, lockers and caretaker’s apartment were key design features. 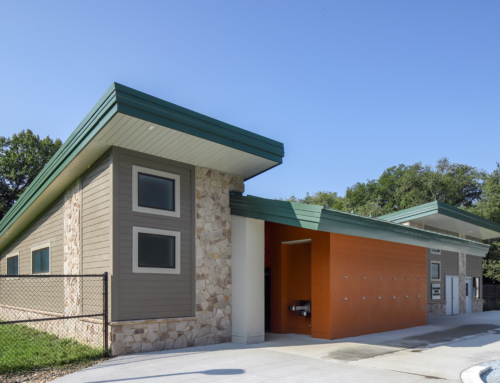 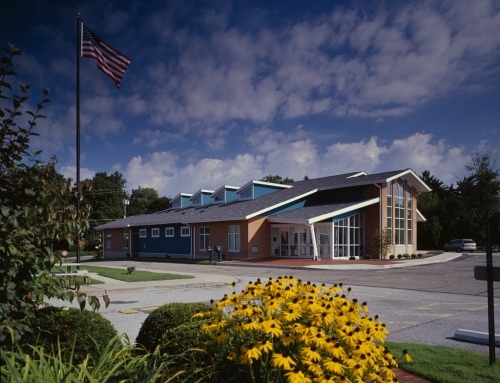 Adhering to TRRA’s principles and concerns for the natural habitat, RSSC Architecture created state-of-the-art facilities designed to meet LEED™ certification and strict environmental standards.